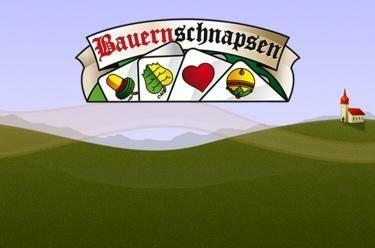 Play Bauernschnapsen online for free now! If you ask for "Bauernschnapsen" in an Austrian village pub they most certainly won't serve you a drink! It's much more likely that somebody will take out a pack of cards, three more players will join you and you will play the extended form of classic Schnapsen for 4 players: Bauernschnapsen. Everyone in Austria knows this game! It is part of the Bézique family and the opposing players each form a team. The aim of the game is for each team to bring the 24 points down to 0. There are numerous game variants and bids that turn this game into an exciting strategic challenge. The only question is: Do you have a knack for Bauernschnapsen?